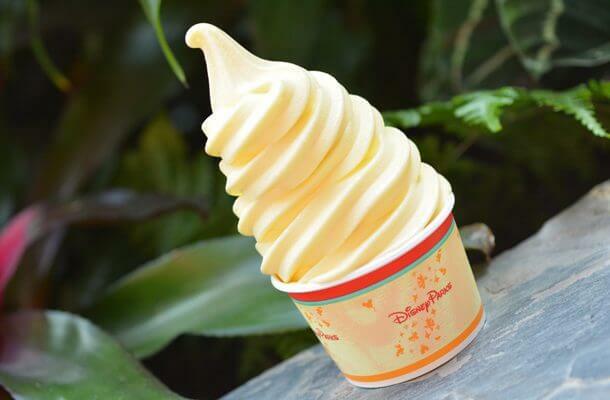 Let’s just start with our MOST FAVORITE THING EVER….Pineapple Dole Soft Serve and Dole Whip Float are vegan! Yes, you read that right…they’re vegan and that means they’re ON PLAN for all us McDougall Plan followers! Dole Whip and Floats can be found at various vendors around every park. Fruit and Veggie cups from the various stands around parks are of course vegan, nor surprise there! Several vendors offer Tofutti and Rice Dream ice creams! BY THE PINT people, BY the pint! Specifically I know there is one vendor for this outside the “It’s a Bugs Life” show. Mickey Waffles at Be Our Guest character breakfasts can be made vegan style! Erin McKenna has an entire bakery filled with vegan baked goods at Downtown Disney! Falafel Burgers at Cosmic Ray’s in Tomorrow Land….what’s not to love? Waffle Cones and fruit sorbet at L Artisan Glaces in Epcot. Vegan Sushi at Tokyo Dining in Epcot. Vegan dining options abound in Walt Disney, almost every sit down restaurant offers vegan and vegetarian options, these are just our top 10 favorites when we visit. Be sure to check them out when you go!